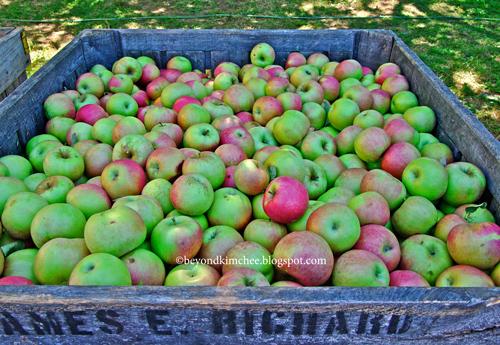 I picked tons of apples in the local orchard last weekend, I’ve been eating apples at least one everyday. Koreans believe eating an apple a day will make you look radiant(? ), so someday I hope my face will be radiant like a laser beam… I better start the conquest on my apples. So, this was what I made to compliment my Tonkatsu, the pork cutlet. 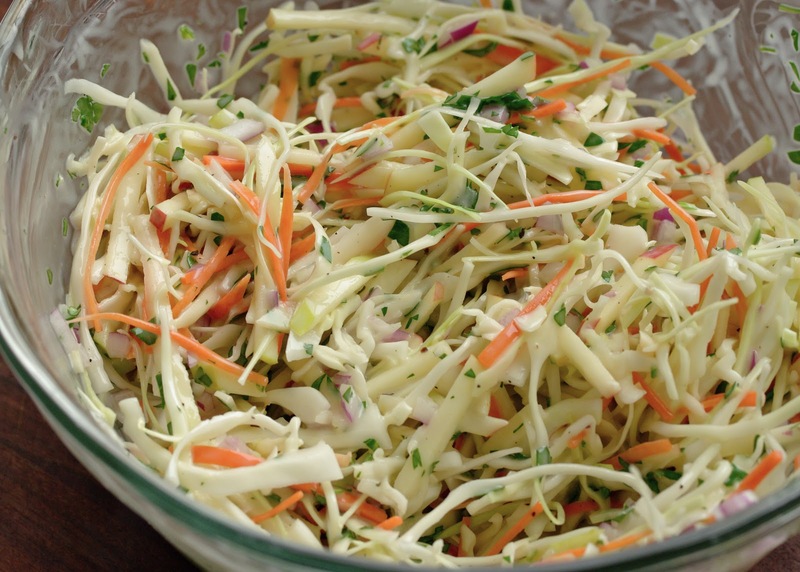 Well, if you don’t like apples, you won’t notice that much in this coleslaw. If you love apples, you definitely can tell the difference. Wonderful compliment any BBQ dish, I love this simple yet full of flavor apple coleslaw. 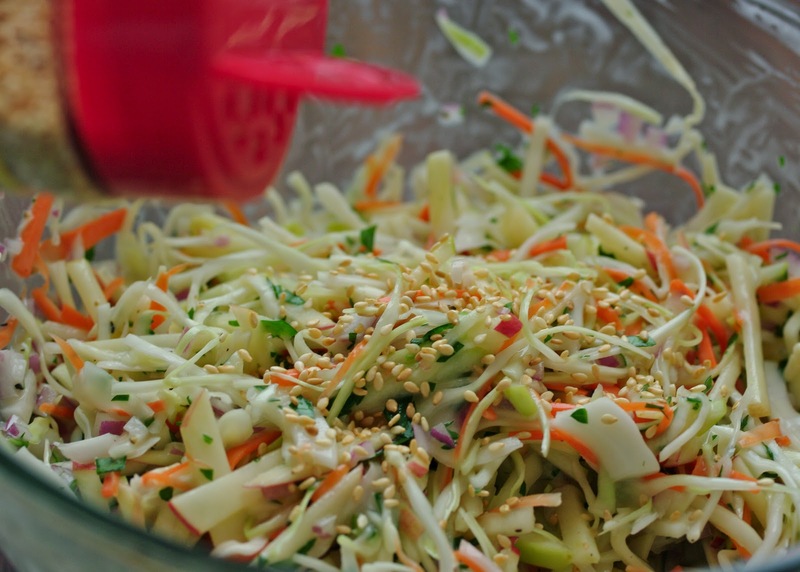 It is better to chill this slaw for 1 hr so the flavors can incorporate each other. But don’t leave too long, it will get watery and soggy. Let’s see what we got…. and salt + pepper to taste. 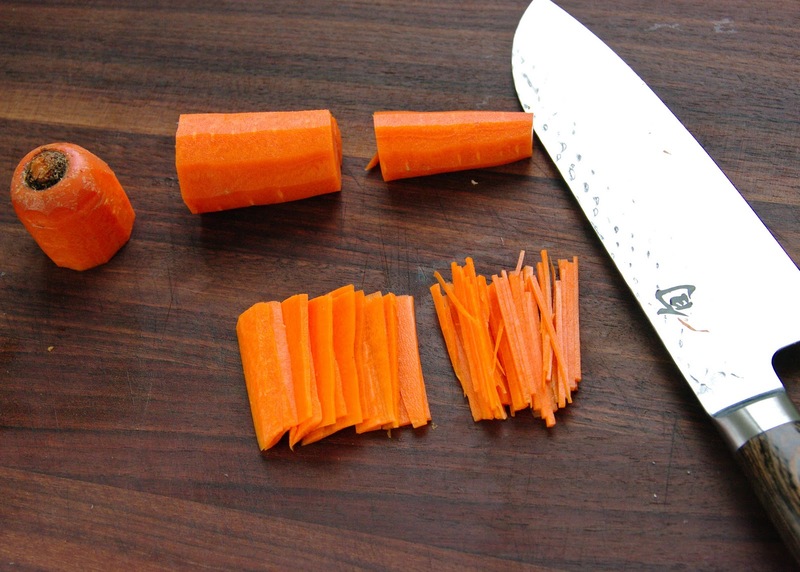 I like my carrots to be very thin. 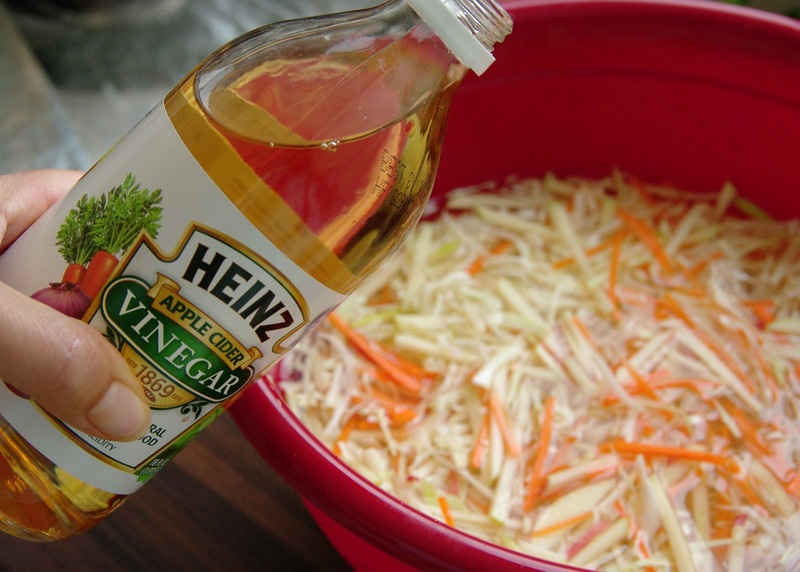 Put them in the water and add 1 tsp of vinegar to them. 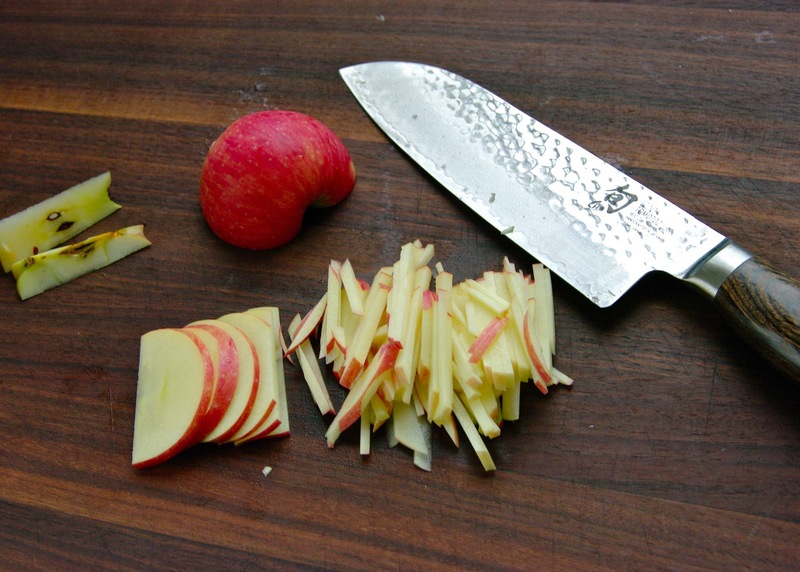 Keeps the apples from oxidizing and other veges crisp. Soak them in the water for about 10 minutes. Drain them well. No need to rinse. 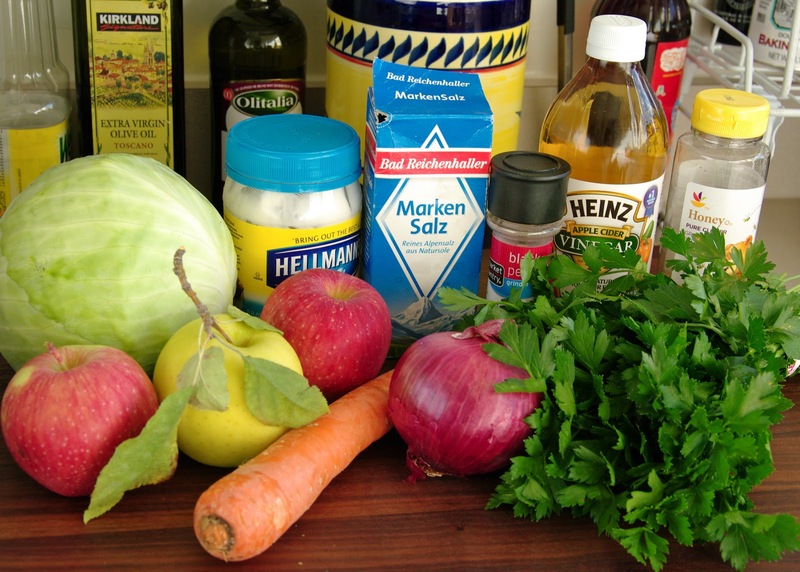 Make dressing by combining the ingredients above. Dang! I missed the apple cider vinegar on the photo. 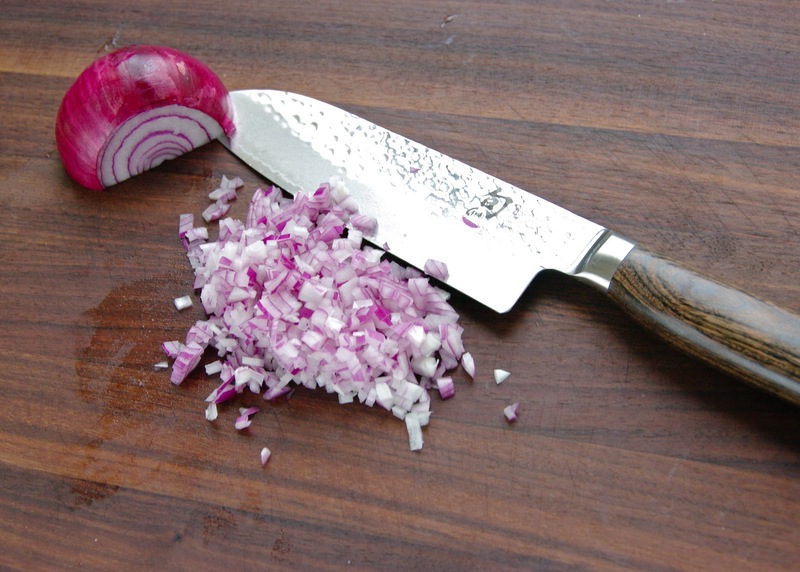 Don’t forget to add vinegar to the dressing. Put all the ingredients in a bowl and pour the dressing over. You can add some roasted sesame seeds if you like. One recipe to go for my apples! Suddenly the song I use to hear in the radio in Korea all the time comes to my mind. Place cabbages, apples, carrots in a bowl with cold water. Add 1 tsp of vinegar and let them soak for 10 minutes. Drain and place them in a mixing bowl. Add red onion and parsley. 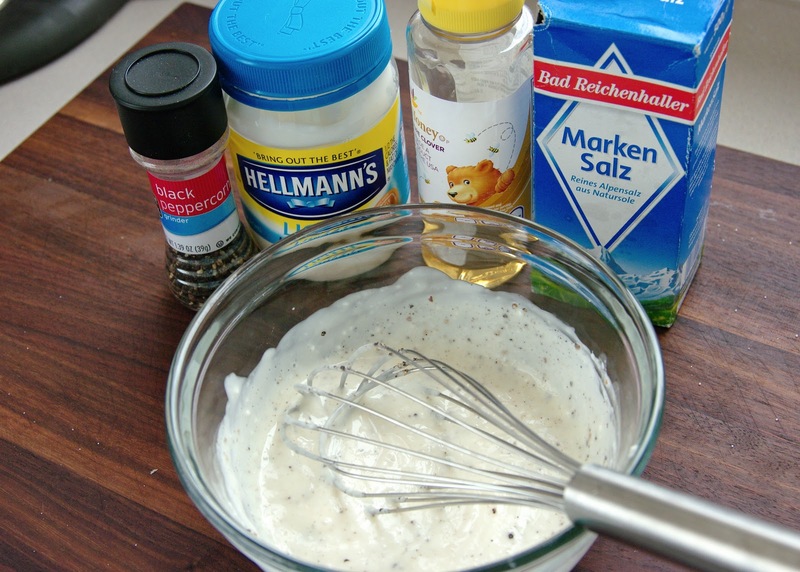 In a small bowl whisk mayonnaise, cider vinegar, honey, salt and pepper. 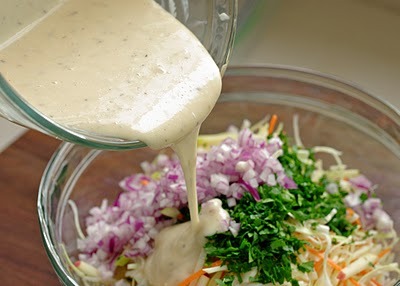 Drizzle the dressing over the slaw and toss well. Sprinkle sesame seeds if you wish. Chill 1 hr before serving. « Tonkatsu (Pork Cutlet), praise to the pig, oink-oink! Too bad I can't hear you sing! But the recipe looks beautiful! 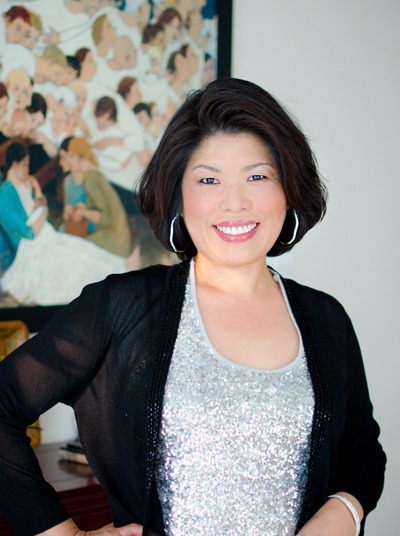 I am a Korean living in Savannah, GA. Great to run into you through foodgawker. I like to sing. I think life would be so boring without music or cooking. Thanks for visiting. I glimpsed yours as well and your blog is wonderful. 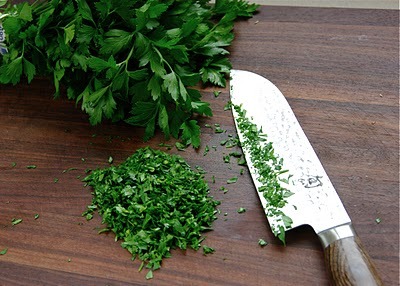 I love your blog, cannot wait to try out all your recipes! 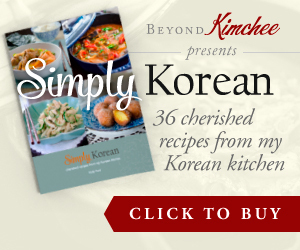 I love the way you author the recipes with stories and info! just a quick ques though, does the measurement C represent cup, and if so, what kinda cup size do you use, small/medium/large? Thanks! Yes, C means cup. I am not sure what you mean by S, M, L but I use typical U.S volume 1 cup (about 8 oz, 1/4 liter, or 16 tablespoon). Hope this helps. 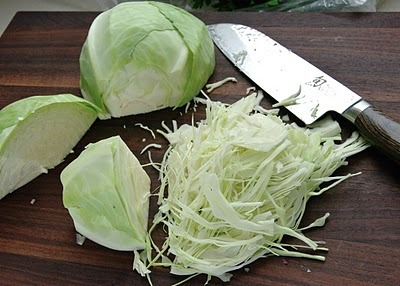 You can make the dressing and the cabbage mixture separately ahead of time. 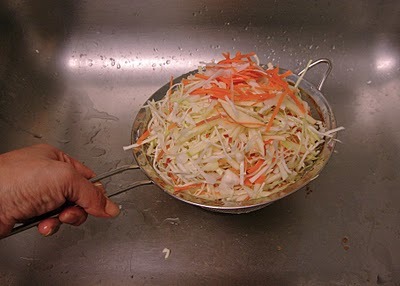 Then toss all together before you serve. Apple gets soggy fast if you toss with the dressing ahead of time.